At last, the mailman delivered my copy of “The Time Traveler’s Almanac” by Ann and Jeff VanderMeer. Just what I craved. Do you want to travel to the past? I would, for a number of excellent reasons. But they may not be the same reasons as yours. No matter. Then let’s face a few facts. Also, a few of my, okay I admit, crappy ideas. 1. Time travel is not prohibited by the laws of physics. I know this to be true because I heard it on NPR some years ago while I was driving near Crow Agency, Montana. I found that assertion comforting. To me it meant that time traveling is inevitable. 2. Time travel has been demonstrated experimentally on a damned small scale using apparatus on a damned large, expensive scale. By “small scale,” I mean in nano- or pico-second shifts. However, I find this to mean we have our toe in the door, so to speak. 3. The NPR voice said many universes may exist in parallel. Well, we know that billions of realities exist in parallel! Just look at all of the people on the earth, each with their own take on things. I just missed the point, however. The NPR voice meant that if a person were to go back in time and change something that affected the future outcome (i.e., anything at all!) the parallel reality would ensue, incorporating the change. In fact, an infinite number of universes may co-exist. Somehow, this was less comforting. I felt a bit chilly to contemplate such a vastness, unbounded possibilities do not suit me. 4. The universe, you know, is a vastness, for all of the mundane features of life here on the block. I sit, writing. Oh, all right, I am in bed with three blankets upon my lap. But it’s cold! That’s how I can drink the numerous cups of coffee, write, and stay warm enough. I look at the unused summer room fan, the windows to the backyard, the clock radio with its odd green LED numbers. My eyes are a bit blurry, but I think it is 10:14 a.m.
5. One question I always have: how large an interval is “now”? No, that is not a “question I always have.” No, I just thought of it. I’ll try to stick a bit closer to the truth. Okay, how long does “now” last? Instantaneous? Is it a millisecond? Does it depend upon brain function? Is it just an illusion? I’m sure I’m not the first to wonder about this. “Now” seems to string along for hours, even years. And yet, I wonder: is it the same “now” as I thought it was yesterday? Although tomorrow is not guaranteed, after all, I may have an accident. But if I survive, will it be the some “now” that I am experiencing now? 6. I’m not liking the “time machine” concept. Too many wires, moving parts. 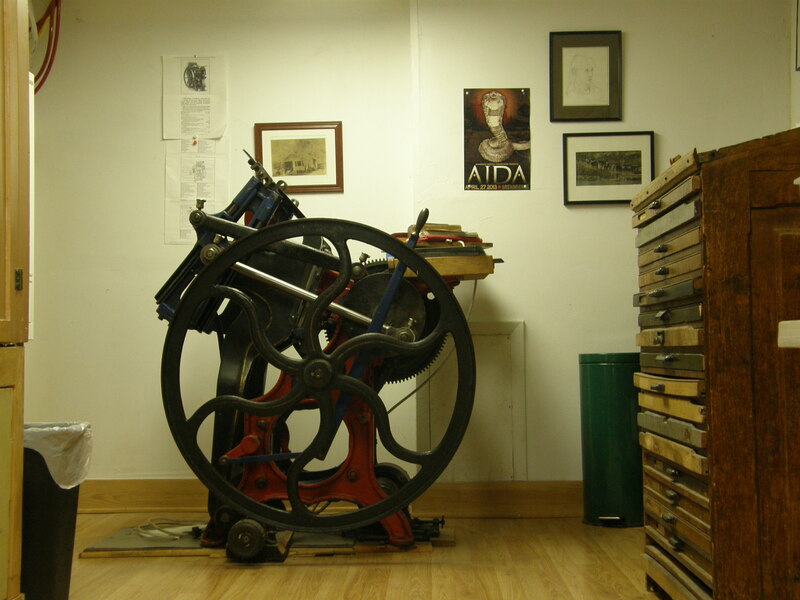 The printing press (pictured above) and the steam engine have already been invented. Same with the wheel. 7. In high school, or was it the 7th grade? I took money I had collected from my paper route and purchased a used 8mm Kodak movie camera. Of interest was the “slow motion” feature. I had supposed that one would slow down the mechanism to capture slow motion. Instead, the camera whirred like an out-of-control windup motor. In fact it had a windup motor. The motor went fast so the motion would go slow. Was the reverse true? Yes. When the windup spring reached the tail end of its energy the picture sped up. The motor went slow so the motion would go fast. Tortoises live a long time, but move slowly. Unless they are running, that is. Is their experience of time faster than, say, ours? Is the experience of time slower for, say, a cricket? 8. Do organic time machines exist? Do very fast beings travel backward in time? Do slow ones travel ahead? How could we tell?